In an annuity, the insurer agrees to pay the insured a predetermined sum of money periodically. The objective of an annuity is to protect against risk as well as provide money in the form of pension at regular intervals. An annuity is a contract where the person who pays for the annuity (annuitant) will receive a set amount every year for a certain period. Regardless of the name annuity, the payments may be made monthly and the cost of the annuity will depend on the likely length of time for which it will be paid. Most annuities are bought for a lump sum, i.e. single premium, and start immediately therefore it is known as immediate annuities; regular premium annuities are also available. Annuities are generally expressed in terms of annual amounts payable, though in practice, they can be payable monthly, quarterly, half-yearly or annually (yearly). An annuity can be paid in advance or arrears, for example, where an annuity is affected on 1st January 2008, the first annual payment is due on the same date if it is paid in advance or on 1st January 2009 if it is paid in arrears. All types of annuity have in common the fact that they provide assurance of income over a given period of time. Generally they are not savings schemes and it is possible that the amounts recovered will be less than the cost of the annuity. This is mostly true for a purchased life annuity. In return for the premium (regular or single), annual payments are made for the duration of the annuitant’s life, however long or short that might be. There are also annuities where the amounts paid depend on the growth of the amount invested, which might be used to buy units. Where an annuity is payable in arrears, it can either be with proportion or without proportion. This is because each payment is made at the end of the period to which it relates. Thus, when the annuitant dies, there will be a period since the last installment date for which no payment has been made. Under a with proportion annuity, a proportionate payment will be made to cover the period. This is not the case for a without proportion annuity, where no payment will be made. Over the years, insurers have added a range of features to basic insurance policies in order to address specific needs of a cross section of people. It is an annuity contract in which the premiums paid are invested in the general assets of the life insurance company, with the company guaranteeing a flow of fixed payments over the life of the annuity. In this kind of policies the insurer, takes the investment risk, not the insured. A variable annuity offers a variety of investment portfolio options, with the annuity value and annuity payments varying depending on the performance of the portfolios chosen. The investment returns of the portfolios in a variable annuity are depends on market fluctuations because the net premiums are invested in securities. The annuity contract owner presupposes all investment risk with this product, including possible loss of principal amount invested. One of the many characteristics of an annuity is a death benefit payable to a named beneficiary; however, the death benefit guarantee is based on the claims paying capacity of the issuing insurance company and does not extend to the separate account. 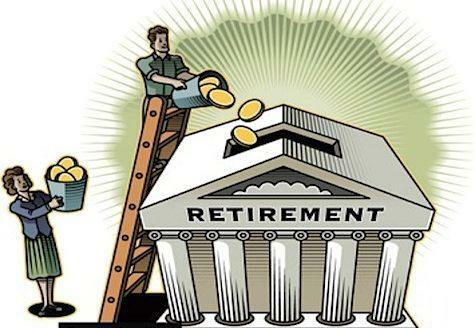 Deciding how much money one need for retirement is a highly personal calculation. It depends on any number of factors such as the current lifestyle, general state of health, plan of retirement, etc.